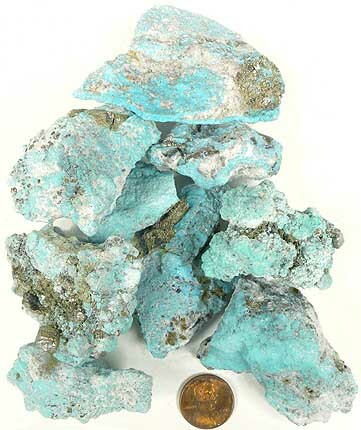 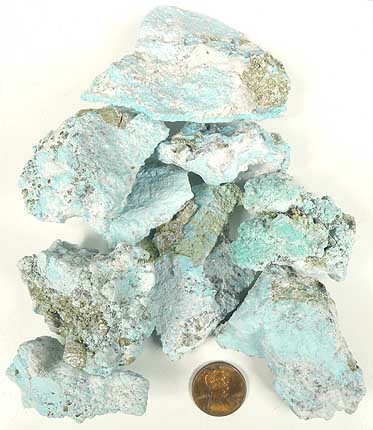 Turquoise is a copper-based mineral (hydrated copper aluminum phosphate). 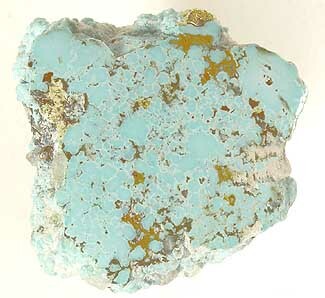 Turquoise polishes well with diamond, tin oxide or green rouge. 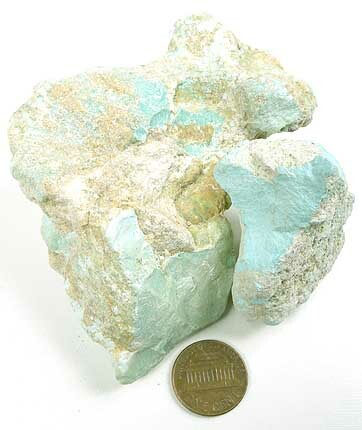 This material is light blue with pyrite. This material is medium light-blue with little or no matrix.